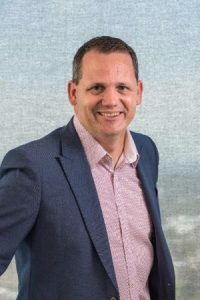 W Hotels, part of Marriott International, is pleased to announce the appointment of Haldon Philp as General Manager of the highly anticipated W Brisbane. Slated to open in early 2018, W Brisbane marks the re-entry of W Hotels into Australia, bringing a new interpretation of modern luxury to the city. As General Manager, Haldon will be responsible for recruiting a team of over 230 associates and managing all pre-launch activity to ensure the hotel opens to the highest standard. Upon launch, Haldon will oversee the hotel’s day-to-day operations and be accountable for the commercial and operating strategy and performance of the hotel. Haldon will report into Victor Clavell, Vice President, Luxury Brands APEC & Bulgari Hotels & Resorts APAC, Marriott International. Haldon is an experienced hotelier, with over 22 years experience working for premium hotels, predominantly with Starwood Hotels & Resorts, which merged with Marriott International in 2016. Most recently, Haldon managed the successful opening of Sheraton Melbourne Hotel, leading the team to win various awards, including Australasia’s Leading New Hotel at the 21st Annual World Travel Awards, 2014. Prior to this, Haldon was the Deputy General Manager for The St. Regis Doha, where he led the opening of the 336 room hotel. The property was awarded Middle East Leading New Hotel, Qatar’s Leading New Hotel and the World’s Leading New Hotel at the 2012 World Travel Awards. Haldon joined The St. Regis Doha team from China, where he was Hotel Manager for The St. Regis Shanghai and managed all 350 associates to ensure the smooth operation of the 328 room hotel. Bringing bold design and playful luxury to the western end of the central business district, W Brisbane will redefine the city’s hospitality scene with its Whatever/Whenever® service philosophy that delivers guests whatever they want, whenever they want it. With a prime location, overlooking the city’s iconic river, W Brisbane will cater to those who want to transform their next holiday or business trip to Brisbane from the ordinary to the extraordinary. The hotel features 312 stylish guestrooms with custom furnishings and interiors inspired by its Queensland locale, 1100 square metres of contemporary event space, as well as a 24-hour WIRED business centre, AWAY® Spa, FIT gym, WET Deck with swimming pool, and W Hotels The Store. In addition, W Brisbane will house three unique restaurants and bars, including a signature restaurant, Pool Bar and the Living Room Bar.